The SPX lost about 10 handles overnight and will open around yesterday's low. 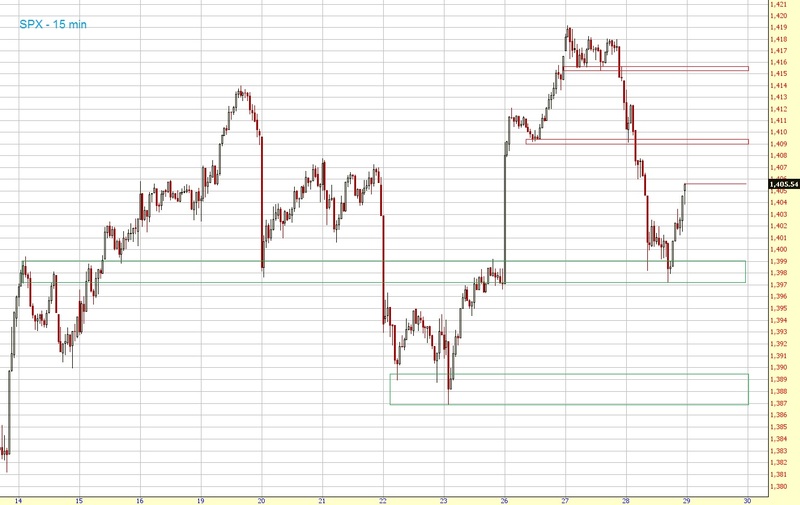 If we break this support area we could see a decline to 1387-90 today. If we hold it though then we might see a gap close. Let's see how the market reacts after the open.